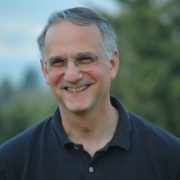 Richard C. Harwood is the founder and president of The Harwood Institute for Public Innovation, a national nonprofit organization that teaches and coaches people and organizations to solve pressing problems and change how communities work together. Rich’s transformational work has spread to thousands of communities nationally and worldwide – from small towns to large cities – by applying concrete methods he created and honed over the past 25 years. These proven practices are based on hands-on work with individuals, organizations and communities in their quest to create change. Rich’s talks, coaching techniques and practical guides have provided the hope and inspiration for individuals and groups to improve their public and private lives. He recently facilitated Newtown, Connecticut’s unanimous decision on the fate of Sandy Hook Elementary, where 26 children and adults were killed in December 2012. A visionary with the ability to help people identify obstacles and tap their aspirations, Rich has inspired hundreds of audiences as he shares his philosophy of what it takes to be relevant and connected in today’s world. Rich is also a prolific author whose books and guides include The Work of Hope: How Individuals and Organizations Can Authentically Do Good; Hope Unraveled; Make Hope Real; and Why We’re Here: The Powerful Impact of Public Broadcasters When They Turn Outward. He has also written numerous studies and articles that chronicle the most vital issues of our time, and has appeared on national media including MSNBC, NPR, CNN’s Inside Politics, The NewsHour with Jim Lehrer, Special Report with Brit Hume and C-SPAN. Learn more about Rich and his inspirational personal journey.